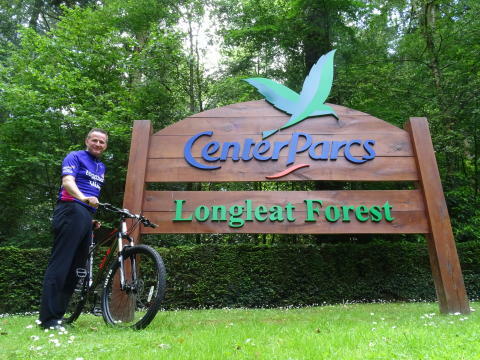 On 7th October Andy De’Ath, General Manager at Center Parcs Longleat Forest, will be embarking on a five day cycling challenge in America, pedalling 575km in over 30 degree heat through desert, forests, canyons, towns and part of Route 66. Andy hopes to raise awareness and funds for Together for Short Lives, the UK charity for children and young people who are expected to have short lives. Center Parcs has been working with the charity for over a year now and, overall, has raised more than £200,000 in the first 12 months. The forest short break company have asked guests for donations when booking their breaks and staff on the five villages have been raising funds for their local children’s hospice. Village teams have done skydives, cake sales, sponsored challenges, special activities and auctions all to raise funds to help families supported by their local children’s hospice. The Longleat Forest team raised more than £12,000 for their local service, Children’s Hospice South West. Andy is taking on the challenge with his friend Colin who works at a nearby supermarket in Bristol and the duo have already raised more than £6,500 for the cause. They hope to hit a fundraising target of more than £10,000 before October and have been training for a year for the challenge. For more information and the opportunity to donate please visit: https://www.justgiving.com/fundraising/colinandandyblazingsaddles2017 before 12th October. 49,000 children and young people are living in the UK with conditions that are life-limiting or life-threatening. That’s one in every 270 children—the equivalent of one in every school. Hearing the news that your child has a life-limiting condition and is likely to die young is completely devastating. For tens of thousands of families in the UK this is the reality. These children have very complex and unpredictable conditions and often need round the clock care, seven days a week. Together for Short Lives is a UK wide charity that, together with our members, speaks out for all children and young people who are expected to have short lives. We are here to help children and their families to access specialist children’s palliative care services when and where they need it. We provide information so families know where to go for support and have the help they need to make the right choices about their child’s care. Together for Short Lives supports all the professionals, children’s palliative care services and children’s hospices that deliver lifeline care to children and families across the UK. 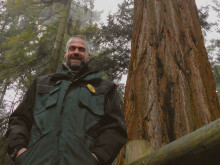 Center Parcs Longleat Forest, Wiltshire, is home to the UKs tallest Giant Redwood tree.